AMH New Horizons Antrim were pleased to welcome Rob Shiels (Business Improvement Manager) and John McLeister (Operations Manager) from local bus/coach building firm Nu-Track. Instead of sending Christmas cards to customers and suppliers the company took the decision to donate money to a local charity and along with staff donations they raised a fantastic £283. 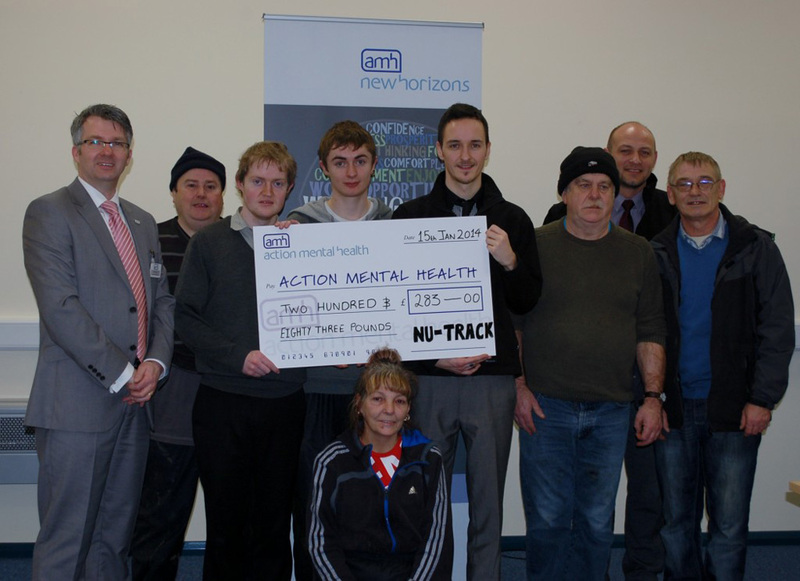 John Davis (AMH Service Manager) thanked Nu-Track for their generous donation and support. He told them that the money would be put to good use within the Antrim service and they were also looking forward to developing further links with Nu-Track in the future.